ELGIN — Elgin Public-Pope John wrestlers are busy preparing for a new season with a new head coach. Trey Rossman, a first-year teacher at Elgin Public Schools, has taken over the reins of the program from long-time coach Doug Jones who retired after many, many years leading the program. Rossman, who attended Morningside College in Sioux City where he competed in football and wrestling, is excited about the coming season and being a head coach for the first time. “I’m very excited for the challenge and the opportunity,” Rossman said last week. 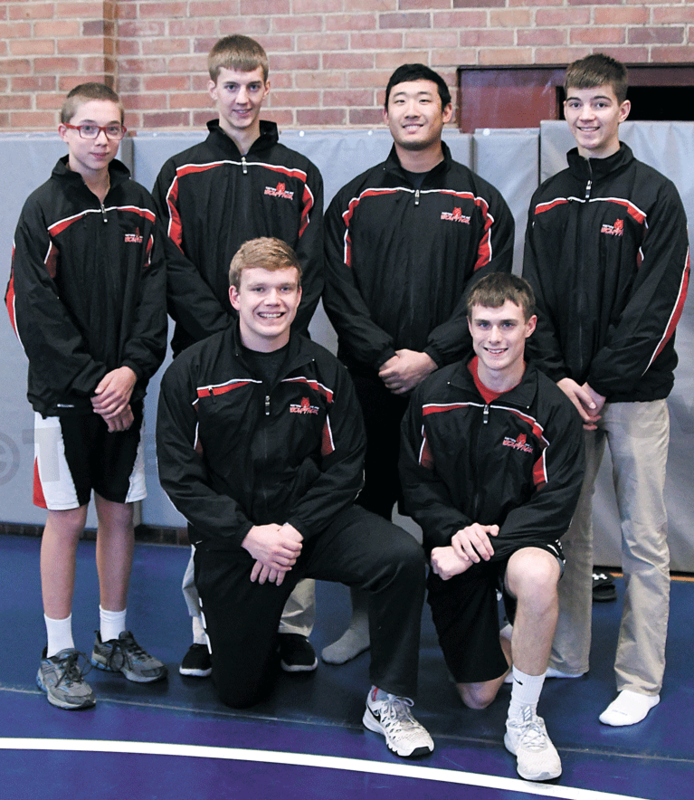 Five wrestlers are competing this year, led by returning state qualifier Logan Henn. Last year, Henn was hampered by injuries as the season wore on. Still, he posted a 20-5 record and was the one of the best in his weight class. Henn led EPPJ in points with 126. A sophomore this year, Luke Henn will likely wrestle at 132 pounds. One year ago he led the team in wins with 22 and falls with 13. The Henn brothers provide a wealth of experience, having wrestled for many years. They are joined by senior Hayes Miller. One year ago, his first season as a Wolfpack wrestler, Miller gained valuable experience in winning five matches. Two wrestlers are new to the team this year. Cameron Nielsen, a senior, will be competing. Also new to the Wolfpack varsity program is freshman Jordan Lindgren. Conditioning is a very big part of wrestling and Rossman said the team has been working hard in practice. “My job as a coach is to not only coach them to be great wrestlers, but also to prepare them to be great men in the next chapter of their lives,” Rossman said. He said Coach Jones and long-time assistant coach Mike Zegers have been very helpful in that regard. He said he firmly believes if a wrestler works hard and improves every single day, by the end of his senior year he will achieve great things. The season gets underway Saturday at Howells. The only home match of the season will be Saturday, Dec. 16 when the Pope John Invitational is held at St. Boniface Gymnasium. The Neligh-Oakdale Invite will be held Saturday, Jan. 20.